Most Indians graduating from their 12th standard in the high schools of India don’t know what science is. Now, don’t get me wrong, students in India have had their heads crammed full of material from science textbooks. They graduate out of schools and colleges, well trained to work in the technical world, where the knowledge gleaned from the scientific pursuit of fundamental questions is applied towards making our lives better, at least temporarily. The first thing you realize when you read page one of any book on scientific philosophy, is that there is a difference between knowing the scientific method and knowing scientific facts. 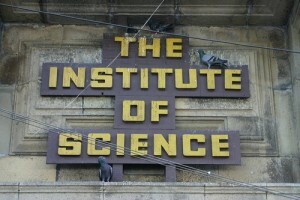 So why do I think most Indians don’t really know what science is? To answer, let me draw from my own experiences in school in India. My first memories of science were from class four in school, when I was 9. From then till class eight, science was a fascinating world of discoveries and facts- Archimedes and the bathtub, Newton and his apple…. Then it started getting harder. We were studying electronics, photosynthesis, thermodynamics and mechanics, and none of it made much sense. Biology was all about memorizing definitions and Latin words. Physics was about remembering the laws and definitions and applying meaningless equations to the “right” set of clues in the problems we were given. And chemistry was just great! After that, like many Indians, I matriculated, went on to take science courses in the pre-college school years and graduated with a head crammed full of facts, 90% of which I would never come across ever again even in any scientific career. At no time during the years that my understanding of the world was being shaped, was I lucky to have a teacher who explained to me the way in which science operated. Nobody told me the difference between a scientific theory and a scientific hypothesis. Even today, many science graduates in India do not know the difference between the two. At no point in my formal education was I shown how hypotheses were laid out from basic observations and how experiments were designed to test them systematically. There was simply no link in our minds between the real world outside our classrooms and the stuff that was being put in our heads everyday in the classrooms. The wonderful and far-reaching implications of some of the theories we were taught were rarely mentioned- probably because the teachers themselves had never thought about them! Like, for example, the theory of evolution by natural selection. One page in high school was all that we had to learn about this wonderful theory which explains all of biology. Why? Because someone in the education board decides that there cannot be any practical applications in teaching kids the wonderful logic behind the origin and evolution of life in all its complexity and diversity? Instead of being provided with the tools to think critically and analytically or being taught the significance of the scientific ideas I was learning, I was a being molded to fit a predestined slot that society had created for me; I was to be a cog in the works. This is the case for the majority of Indians. India is emerging as a technological power in the new millennium, after decades of economic hardship. In the struggle to pull the country out of poverty and provide a better life for its millions of poor, the leadership has resorted to a model of society that is reminiscent of Huxley’s dire scenario from “Brave New World”. “Why create a generation of thinkers when what’s needed are workers?”, seems to be the mantra. So scientific facts are common knowledge. The methods of science are privileged knowledge, reserved for the elites who determine what the populace should do. Of course, this fits the well-known and common pattern in Indian cultural tradition. We are a “top-down” culture, where a few thinkers belonging to certain castes or communities have traditionally been the ones making all the major decisions. In India’s haste to adopt science and to apply the benefits of scientific knowledge towards building our economy and quality of life, the same cultural framework from old religious traditions have been harnessed towards teaching science. Science in India is a form of skilled labor enforced by authoritarian principles, not a way of thinking about the world. As in religious traditions, students of science are not taught to question the ideas that are presented, but to accept and memorize them. This is the exact opposite of how science is supposed to work. It is the challenging of “established” ideas using better hypotheses that fit the evidence, that makes science superior to religious dogmas. Learning to follow a recipe from a cookbook does not make one a cook. Similarly, following a set protocol without understanding the way science works does not make one a scientist. Science in its best form, must be a bottom-up process, where the facts are not always simply fed to students to be memorized. The most advanced nations of the world are those that teach critical thought to their young minds, not the countries that prepare a generation of human machines incapable of original ideas, to be the future workers of the country. More importantly, it is the schools and educational institutions that impart the inclination towards scientific exploration that are poised to create the leaders of the future. Today in India, we have people touting “vedic science”, “scientific numerology” and “astrology” as legitimate scientific disciplines. These people have no knowledge of what science is, otherwise they would see the absurdity of their claims. In India, the movement to incorporate astrology into the science curriculum is extremely popular. The West is not immune to such idiocy, although the groups that make such demands are usually in the minority. One major exception is the Intelligent Design movement, in the US and Australia. This movement has one thing in common with the vedic astrology movement in India- a complete lack of understanding of what science is and how it works. It is likely that science itself is in little danger of being replaced by pseudoscience when it comes to legitimacy in academia. What is of greater concern is the fact that pseudosciences have the potential to become hugely popular in the mainstream media, because of the lack of a good public understanding of what constitutes science. In the age of the free-market and unfettered propaganda, the lines may become blurred in the mass consciousness of peoples, while the scientists and academics are self-absorbed in their research. That’s why our focus needs to be on education. It will take years to disrupt the millennia of cultural stagnation that religious indoctrination has perpetuated in India. We need to change the education standards, now more than ever. Here at Nirmukta, we have had the opportunity to debate readers who are convinced by popular opinion that scams such as homeopathy are legitimate science. We are not helped by those in the popular media who declare that mass appeal trumps reason. In spite of such current trends in the mainstream, I am optimistic about India’s science future. It is our only hope to rid Indian culture of the terrible afflictions of irrationality and superstition. Today in India, we have people touting “vedic science”, “scientific numerology” and “astrology” as legitimate scientific disciplines. These people have no knowledge of what science is, otherwise they would see the absurdity of their claims. Very well said Ajita. Our teachers need to do a better job. – Why Dasavatharam indicates evolution (never mind the half man-half lion Narasimha avatar) and why we should be excited about expecting Kalki. – Why men wear sacred thread: Because when they go to toilet, they put that thread over their ear, which puts pressure on their pituitary gland which makes their urinary organs perform better. I didn’t want to be offensive in my comments to the author and considered the possibility of informing him what science actually is. Without any shame/honor I actually begged, plead the author asking him to understand what *science* is before making assigning the word *scientific* to his claims. I gave him references to books on evolution & reference to Demon Haunted World by Sagan. But my pleading fell on his deaf ears. His replies included a reference to Acuputure literature, how islam destroyed our *scientific* culture and why west/europeans are trying to dominate us. Ajita, you are right in your observation, if only we can convince the majority of what constitues science. I also agree with you that India or any other country which ever had any influence on social, political and scientific thought of this world were in it’s hey day a nation of thinkers before a nation of workers. Its when this balance is shifted and countries start requiring and producing more workers to fulfill their needs and ignore the thinkers that cultural and scientific rot starts to develop. The only way to change the tide is to start a grass roots movement that encourages independent and critical thought in children from a very early age. That may require vision and a lot of political will but it is not impossible. @Hinduatheist: Thanks for your comment. I have faced the sort of nationalistic revisionists before. These people are so intent on embellishing Indian history that they don’t really care about the truth. I found the example of the sacred thread aiding in urination hilarious. You are on point when you say that these guys do not understand what science is. Isn’t it ironic that they are paranoid about the West bringing India down while in the same breath the exploit the legitimacy that comes with “Western science” by claiming that the ancient superstitions are scientific? @NitwitNastic, I agree completely with your point that the only way forward is to teach the next generation good science. There is no point in arguing with these people because they are hardened in their ways of thought. Grass-roots movements are the way! Another way forward, in my opinion, is to show religious and superstitious people that we non-believers can have meaningful community too. I believe that we can be more productive towards the cause of secularism if we focus on our community and let the others see what we can do, rather than spend hours arguing with the hard-core believers. You guys keep up the great work on your sites! imagine being taught the tents of such a theory by a man who already has determined in his mind its dead wrong.talk about cognitive bias! It was only later on when discovering books by jay Gould ,R .Dawkins that i truly understood what a monumental leap of intellect evolution is.that set me on my current path to atheism. The fundamental problem is not -“Lack of science or teaching in India”. It is the whole culture. It is the “Gurukul” way of teaching. We never let Children to ask questions, challenge conventional thinking. It is always-“Listen to what I say”-“these are words from God” and so on. I don’t want to be offensive, but most Indians lack common sense! I studied in one of the most prestigious academic institutions in India (the Indian Institute of Science) and I have met great many scientists and intellectuals. But a lot many of them lack common sense and rational thinking. For example, there is guy who had tons of publications in science journals, worked in some niche area of science and got invited in a leading academic institute in the US. But he won’t start any of his experiments in Rahu Kala! What do you say to that? I am not surprised if ISRO scientists will not launch satellites to Mars if the “Grahas” are not in the right place according to astrology. What we need to teach is not Science but common sense. Empower young children to think and question and REBEL against old faiths- science will follow natually! I see you have addressed the issue I raised naively on the wrong blog post 😀 . Very well said and I agree with you on a lot of things in the above article. In my case, the 9th Std NCERT text book gave a meager 5-6 pages of evolution and I was enthralled beyond measure as a kid when I read it (I rem reading it at least 5-6 times). I can so empathize with Dawkins when he says it feels ecstatic to know about evolution. For starters, we need to change our textbooks, make them more interactive and encourage questioning, at the same time, keeping the volume of facts in tact — challenging indeed. 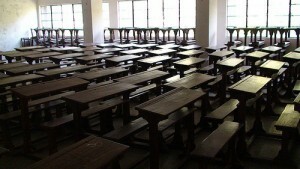 This change of curriculum is something we can do quickly, say within, a decade or so. Training teachers is more necessary but requires a lot more investment and time. Excellent post .I totally agree with what you said. I remember being taught about evolution when i was 14 or 15. But it took me another 8 years to figure out that i had two totally contradicting ideas running parallel in my head.Evolution and Idea of personel/supreme God. Boy i was glad when their paths met. Science in India is to pass exams and nothing more. And more over parents/teachers never allowed us to ask important questions. One dangerous fact is that Most of the current generation is adhering to established customs or doctrines just like their parents.They dont want to dissapoint their parents i was told by some. I say Please dissapoint your parents when it comes to caste, God, superstitions,rituals and mainly religion. Another appalling thing is division/formation of committees of Telugu people based on caste in USA which is 10,000 miles away from home. These are all highly paid engineers our country has produced. Thank you! Your story is very similar to mine, and indeed to that of most Indians who consider themselves rationalists. I’m not aware of “division/formation of committees of Telugu people based on caste in USA”. Such cases are a testament to the strength of the religion disease. I am very glad that you refer to yourself as Ex-Hindu and not as a Hindu-Atheist as some others do. Yours is, in my opinion, the right way to advance our country and culture in the 21st century! I hope that you can network with us on facebook and on our forums, as we work towards towards ridding India of the regressive influence of religion and institutionalized superstition. I would say its more than science education that needs change.. Its just education.. including art, humanities (even in their primitive form in primary/secondary school). There was simply no link in our minds between the real world outside our classrooms and the stuff that was being put in our heads everyday in the classrooms. 1) If you were sitting ON this table, at one end, and the table suddenly suddenly starts rotating, what would happen to you? I couldnt answer this, coz I had never experienced the-outward- force-in-circular-motion in my life till then.. I had never gotten into a bus back then (!! health and crowd reasons). My knowledge was just theoretical. 2) Why is the rainbow circular? An unfair question in retrospect, coz No way I had the maturity to understand the reasons back then.. I pondered about this once again just a couple of years ago I was watering my lawn, and I saw the rainbow again in the water stream.. and I started wondering and reading up..
Often, it is the student’s own maturity (i.e ability to digest what it is that has been learnt, and ask further questions) thats the problem. Age and experience is the biggest hurdle here. Ajita, Are you convinced that this has been overcome in any society around the world? Do you know of any country/society that is producing truly critically thinking> students at that level? I recently ran into a 8-10 year old kid, accompanied by his father, that was well versed and talkative in several astronomical terms (nebulas, galaxies, for e.g) but there was no way he could have really understood what they mean. i.e he was mouthing intelligent and seemingly-comprehended statements, but he couldnt have possibly comprehended them. Ajita, I completely agree with you. I would go so far as to agree with astrokid and conclude that the entire education system is bogus. My daughter studies in class 7. Her history book reads like a trivia pamphlet. They cover everything from ancient history to independence in small 6 sentence paragraphs. A zillion of these. Why? Will the kid actually learn anything? Or is it meant for some quiz? There is absolutely no depth, understanding, or even a story for the kids to appreciate. Just mug up and vomit! Know your dates, but don’t bother about why the war happened. Learn the formula, never mind if it can actually be applied anywhere in real life. Or who discovered it or how. Hopefully, the internet, and its vast resources will free them from these shackles. New ideas, organizations, methods of teaching abound on the net. We need to make our kids more aware of these resources. And guide them to use it optimally.